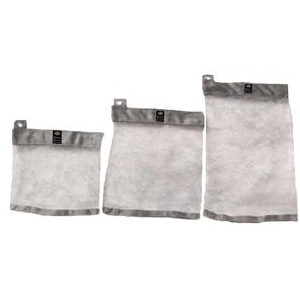 Tough, reusable food and condiment storage bags with a reliable seal. 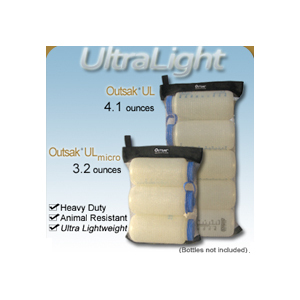 Heat sealable and free-standing when full. Cost and weigh a bit more more, but last longer than the main alternative. A while back I stooped so low as to review a simple plastic spoon. Now I'm going further down that particular rabbit hole for a review of... plastic bags. But they're really good plastic bags! 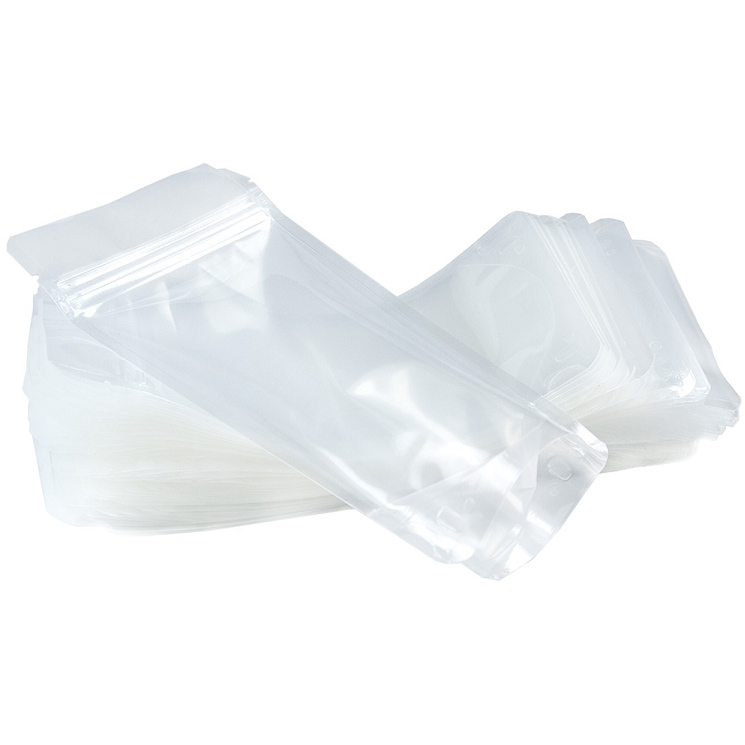 We all know the industry standard, zippable polyethylene bags that come in various weights, sizes, and zipper types. Sometimes the zippers are hard to align, and while these bags often seem air- and water- (and oil) tight, they all-too-often turn out not to be, and can drip liquid contents inside a pack just when you are not looking. They can be washed and reused a few times, but sooner or later will enter the plastic waste stream. So why not pay a little more for something that does the job better and lasts a little—or maybe even a lot—longer? When we ordered some fast-rehydrating black beans and a few freeze-dried fruits and veggies from Harmony House, we spotted the pouches and decide to give them a try. They come in 1 cup and 2.5 cup sizes. They are quite tough and seal well with the single zip. The relative stiffness of the plastic means that the zipper aligns easily. Like some soft water bottles, the gusseted base opens up so that they will stand up or on their own, a useful feature for in-bag cooking. We use the small ones for powders such as instant coffee, sugar, instant milk, or Tang, but they can also hold single servings of some of our home-prepped meals. The big ones are just right for double servings at least of the main ingredients for the same meals and for bulk amounts of gorp, granola, oatmeal, nuts, and the like. We also use one or the other size as a containment vessel for backpack-hazardous substances such as peanut butter, olive oil, or camp suds in squeeze tubes or rigid containers. As aging hippies, we wash and reuse them multiple times. We still use quart and larger size Ziplocs for higher volume items (we wash those too) but are basically phasing them out where the pouches work better. 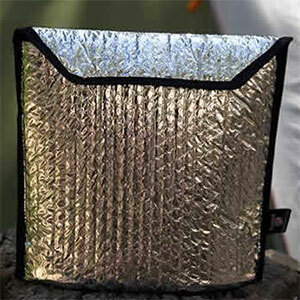 They also work well for waterproofing cell phones, wallets, and other electronics and valuables. The 1 cup size is good for my iPhone 5S but just a tad too short to accommodate my wife's bigger Android phone. The small pouches at least are less bulky and expensive than the many fancy zip and roll alternatives. I can still keep it in my pocket and tap and scroll right through the clear plastic. The 2.5 cup size can easily accommodate a pocketable point and shoot, and both can be trusted to keep water out when sitting out a downpour. 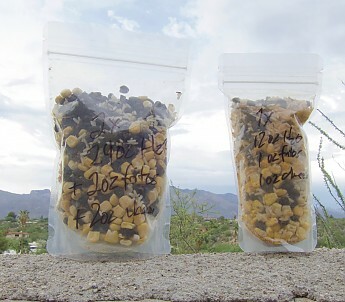 The 1 cup bags weigh about 5 grams each and the 2.5 cup ones weigh about 8 grams, as compared to about 5 grams for quart size double-zip Ziplocs. That means that the larger pouches weigh about 2x per volume as the Ziplocs, and you could probably save more weight by using thinner/lighter zipper bags, with a clear trade-off on durability and seal reliability. At Harmony House prices and in 50 count lots, the small pouches cost about 20 cents and the big ones 30 cents apiece, compared to 10 cents or less for the double-zip Ziplocs at Amazon, depending on how many you buy. (See below for info about getting the pouches from a plastics company). 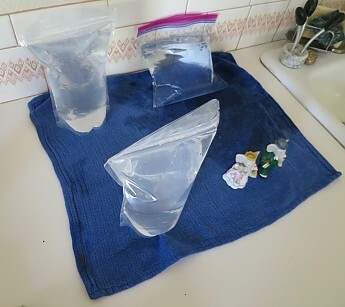 As a little test, I filled a brand new Ziploc double-zip freezer bag and new and used pouches with water and put a little pressure on them to look for leaks. The Ziploc started dripping immediately about halfway down one of the seams, and under pressure that turned into a squirt, with additional leakage on one corner of the zippers. 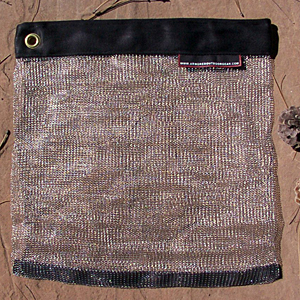 Under pressure, the used pouch had a single pinhole leak under the zipper. The new one didn't leak at all, but the zipper burst open under an estimated 20 to 30 pounds of weight applied by hand. According to answers to some questions I sent to Harmony House, these bags are made of welded polypropylene, so they should be reasonably heat tolerant for in-bag cooking. They are BPA-free. Although they have a heat-seal band above the zipper, that is apparently for commercial heat sealers; HH says they are not suitable for home heat sealers, presumably because of the higher temperature required as compared to polyethylene. While waiting for a response from Harmony House, I searched for similar products offered by plastics manufacturers (for example). 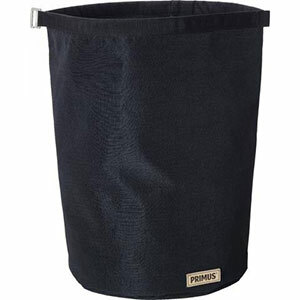 The manufacturer's pouches I found are made of PET plastic, the same tough plastic that is used for soda bottles, and can be ordered in white, black, silver, or gold, as well as clear. The metallized ones may help in retaining heat for in- bag cooking. They run about 16 cents each when ordered in 100 count lots. I tried to check on BPA content (not something I myself am inclined to worry about much) and it seems that BPA is not used as a plasticizer in PET production, but I suppose there may be other ingredients to worry about. The bags have a heat-seal tab or strip above the zipper, and the same companies offer heat sealing equipment, but I have not priced that. 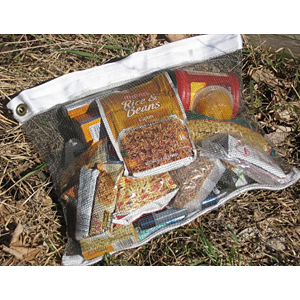 I highly recommend the these tough, reusable pouches for many of the food storage and transport needs of the backpacker, especially for home-prepped or -dehydrated meals. Great review and recommendations, BigRed! 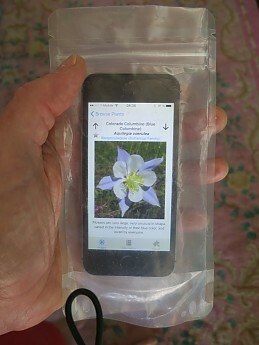 The Harmony House Heavy-Duty Clear Zip Pouches is not available from the stores we monitor.